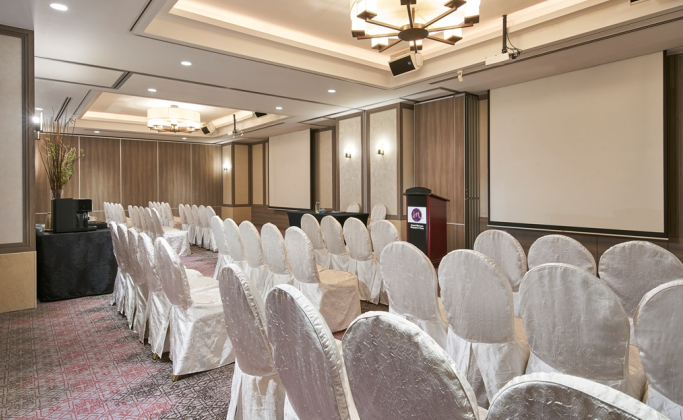 Grand Mercure Singapore Roxy is the ideal venue for your events from a selection of 8 modern function rooms that can be customised to your needs. Complimentary day use room is from 12.00 pm to 6.00 pm only. Only one round of drinks is valid for meeting packages. Celebrating Life digital card must be presented to enjoy the discount. Not valid with any other discounts, promotions, vouchers (including Passport Accor dining voucher) and Accor Plus privileges, alcohol, non-alcohol beverages, minibars, meetings, banquets and private functions. Accor Plus blackout dates apply. Offer is valid at the time of booking and is not applicable for room service. Privileges are not exchangeable or refundable.